Truer words have never been spoken as these that were found on the back of “The Darkest Part of the Forest” by Holly Black. This book is phenomenal. 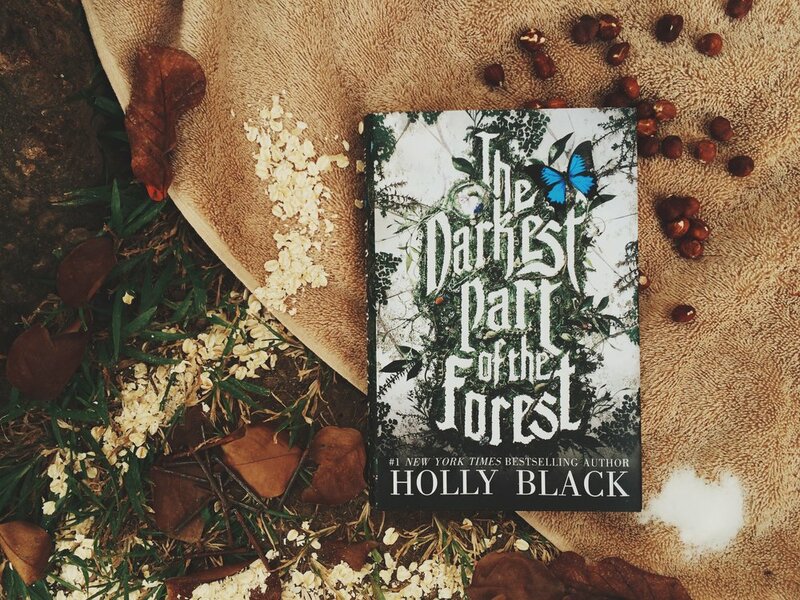 “The Darkest Part of the Forest” blends mild horror with faeries in a way that only Black can do. Black—the faerie queen, as her fans have dubbed her—uses mental health and magic to formulate a villain who isn’t really a villain and heroes who have to learn how to take care of themselves. This monster makes victims cry tears of moss, it sews grief and weeps for a lost love that was taken from it. Wonder what that means, huh? It’s truly some lovely imagery shared within these pages. The best thing about this book are the faeries. Granted, I’m kind of obsessed with faeries (side note: the first book I ever read about faeries was “Tithe” by Holly Black, a book that helped sew my adoration) and my idea of a beautiful description and death-dropping imagery involves, primarily, fae-like descriptions. Black has those in spades. Another amazing thing about this book are the characters. Hazel, for one, is fantastic. Her brother Ben, is breathtaking. Severin, the faerie prince with horns … needless to say, he’s the best character. This book is full of romance. Oh lord, the romance. Did someone say they needed a bisexual faerie prince? Oh wait, that was me? You’re right, I did need that. And we got it in Severin. I just—I can’t. I cried, OK, I cried. I give it 10 out of 10 flowers.